Brilliant festive punch bowl with glasses and ladle. Stylish, practical and great for Mulled Wine in Winter, or here in Somerset, Mulled Cider! 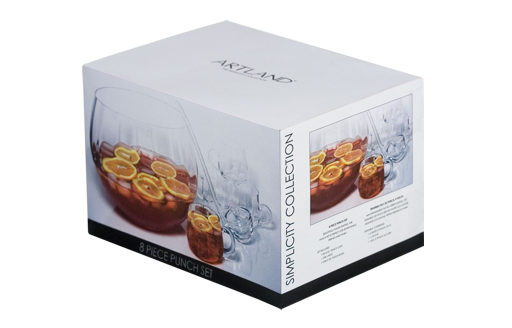 All the punch glasses & the bowl itself have an optic in them, giving them a ripple effect.